Good morning, Crafters, and TGIF! 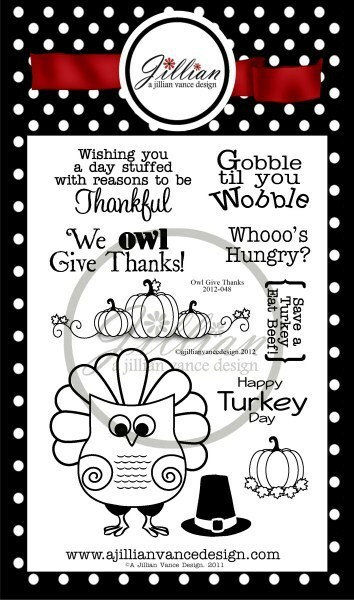 It's Valerie here today with a pretty card for the Thanksgiving holiday coming up! I'm using 4 AJVD products today: 2 die sets (the Grateful word die, and the Minnie Pearl die set), the Owl Give Thanks stamp set, and the Pure Gold Satin sequins. I created a 4 1/4" square card. 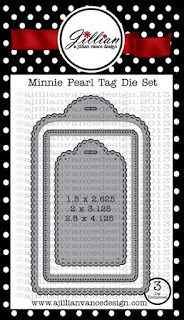 When I die cut the tag, I actually die cut it shorter! This made it fit perfectly on the square card. 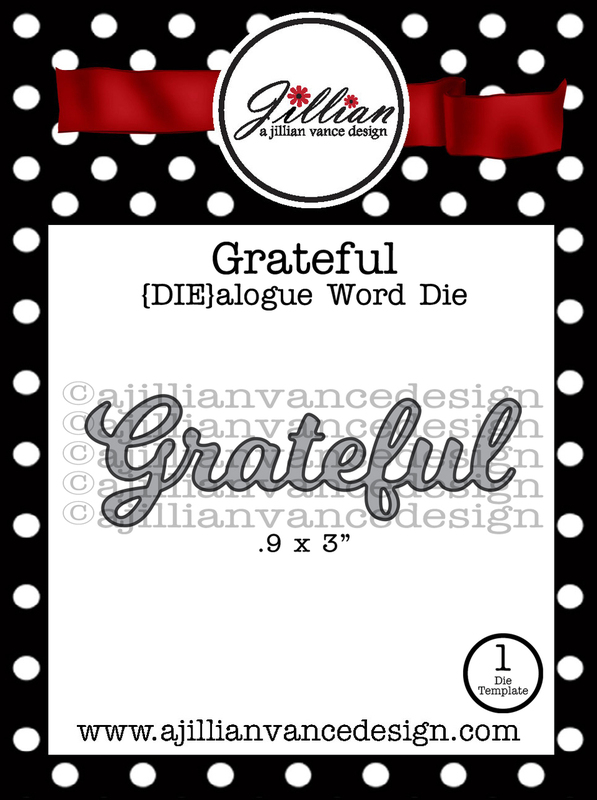 And I die cut the Grateful die 7 times and layered/glued them all together. Then I painted it with Clear Zig Wink of Stella Glitter pen ink, and then a nice, thick slathering of Glossy Accents. I stamped the sentiment in brown ink, and the pumpkins image in Tuxedo Black Memento Ink, and colored it with my Copic Sketch markers. The twine is Caramel Jute Ribbon by American Crafts. The papers are from the new Avery Elle Harvest collection. I added the gold sequins on, and the gold stitch marks with a gold ink pen. Hope this gives you some momentum to go get YOUR holiday cards started (or finished!) this weekend! Thanks for stopping by, have a wonderful weekend, and Happy Crafting! This is awesome, Valerie!! Love the papers and pumpkins! Valerie, this card is gorgeous and the coloring on the pumpkins is awesome!